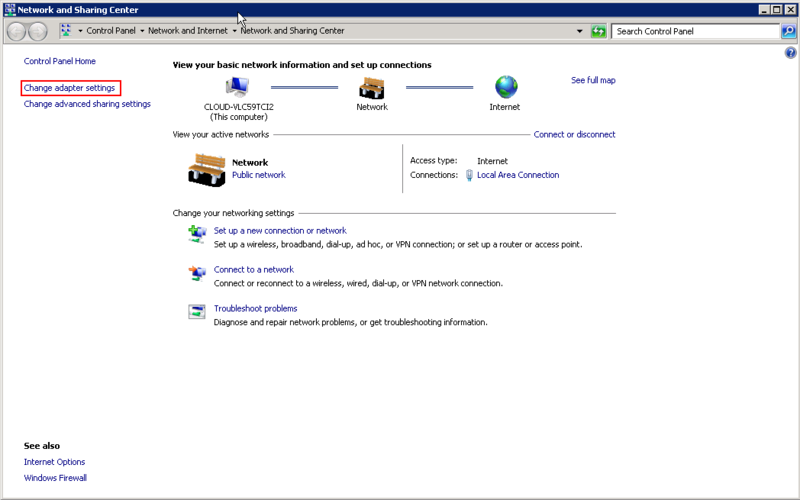 Here it will be be shown to you on how to add the additional IP address to Windows cloud server 2012. There are many services on a server which might ask for the required additional IP address to work correctly, this can be the creation of private name server, then the websites with an SSL, the email generation and splitting the services to many different public IPs. Here one must reserve as well as assign an additional public IP to the Windows Server 2012. Process of adding the log into the server. 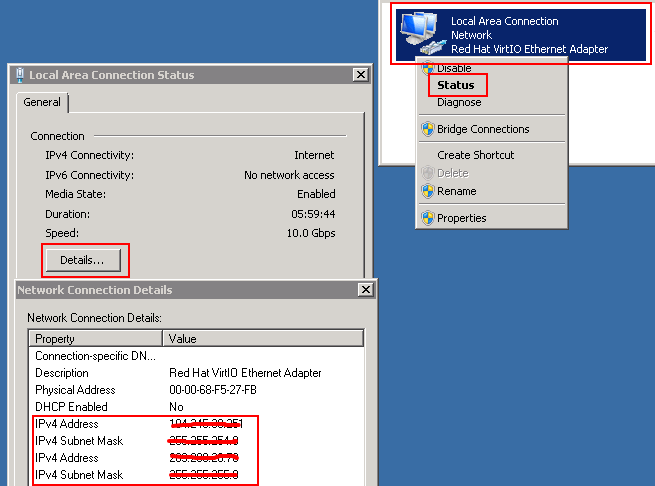 Here one must open the network and sharing center so that one can edit the network interface. One must make sure of clicking the “Change adapter settings” if its not been done already. Now you need to click on the local area connection. Here it highlights the blue and then adds some of the options in the line provided above. Now you need to click on the “Change settings of this connection”. 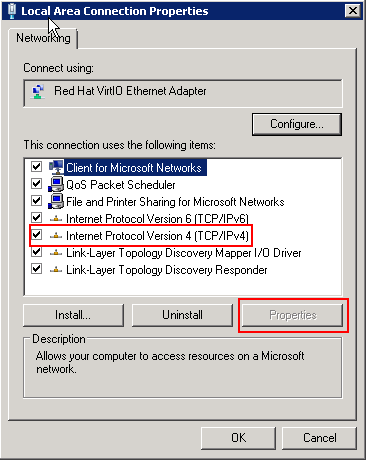 Now you need to double click the “Internet Protocol Version 4 (TCP/IPv4)”. If you are not double clicking it then you can also select it and then click on the “Properties”. Now under the top section where there is “IP addresses” you need to click on “Add…”. Now we will be using the information that has been provided in the Public IP section for the IP that has been reserved as well as assigned. Then one needs to press OK four times for returning to the network connections screen. You will be able to check and see if it is configured correctly. 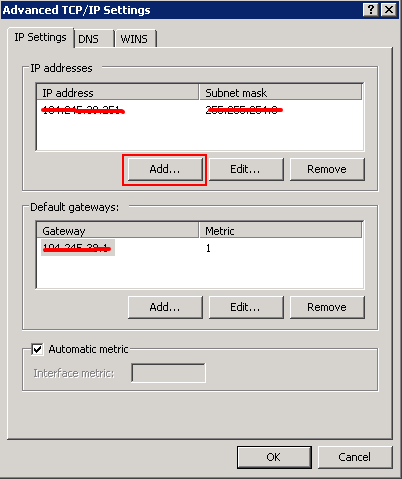 Now you need to right click on the Local area connection and then click on the status, then click on the details and then check the multiple IPv4 addresses and the subnet mask for each other. 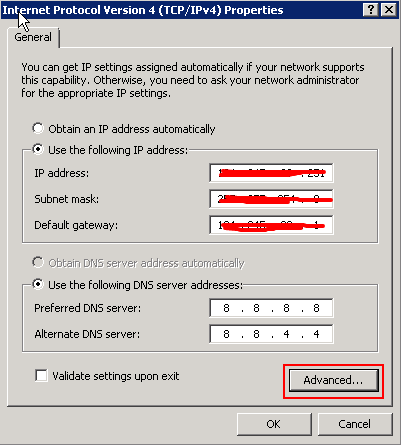 Hence these are the steps to be followed for adding the multiple ip addresses on windows cloud server.